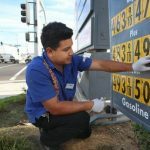 Vehicle fuel economy ratings are taking on more importance than ever, as gas prices are steadily increasing — reaching as much as $6/gal in some areas. The good news is that consumers have options. There are more compact vehicles on the market now than ever before, plenty of hybrids, and – most enticingly – a handful of electric cars. Electric cars are particularly alluring, as they don’t require fuel and have very few moving parts…which means no oil changes, minimal long-term maintenance, etc. Some consumers are reflexively snapping up new electric cars, proud of the fact that they’re not longer buying gasoline. However, does buying an electric car make economic sense? 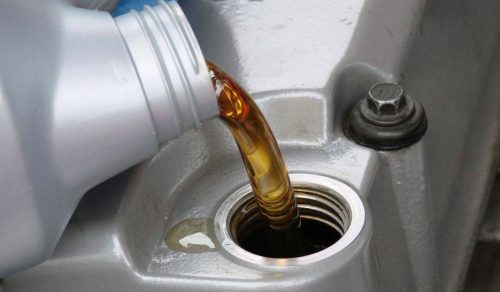 The gas-powered RAV4 starts at $23,300, and if we choose all the options on the gasoline RAV4 that make it comparable to the RAV4 EV, the price comes up to $27,800. The electric RAV4 – or RAV4 EV – starts at $49,800, to which we need to add the $1,236 40A, 9.6kW LII charging station for your home and a $1,300 professional installation cost…let’s call it at a total of $52,500. Additionally, depending on which state you live in, you may qualify for federal and state tax incentives that can significantly reduce your overall cost. In Oklahoma, for example, you’ll earn a $7,500 federal tax credit when you buy an electric car, as well as a state tax credit worth 50% of the RAV4 EV’s purchase price. You’ll also earn a 75% tax credit on your RAV4 EV charger…which means Oklahoma residents can buy a new RAV4 EV for as little as $25,500! However, for everyone else, a much better cost estimate for a RAV4 EV is $45,000, which reflects a $7500 federal income tax credit only. That’s more than one and half times the cost of a new gasoline RAV4, or about a $17,000 cost premium. Buying an electric car means no more oil changes, and no more expensive engine maintenance. Insurance on the RAV4 EV, with liability, comprehensive, and collision coverage, will cost $1,576 annually, slightly more than the RAV4 at $1,266 annually, a 24% increase. 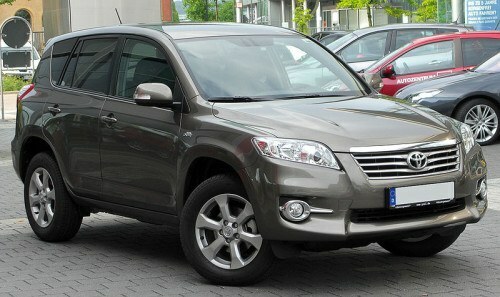 Maintenance for the RAV4 amounts to $3,330 over five years. Maintenance costs for the RAV4 EV are much less because there are fewer moving parts. I would estimate $600 for five years. These costs don’t reflect finance charges, which can be significant, as you could have to finance the RAV4 EV’s full price (you don’t get the tax credit until the end of the year). Therefore, if you’re not paying cash, the RAV4 EV could be substantially more costly. These costs also don’t reflect differences in resale value. It’s a bit difficult to project resale, but it’s safe to say that an electric RAV4 will be worth more than a gasoline RAV4 all else being equal. Generally speaking, the “earn-back” period for electric cars driven an average number of miles is 7-8 years…which matches up with our simplified math. The point of all this is to keep in mind that you need to keep a long-term view of things. You can’t expect to get any savings out of this deal until you’ve had it for a few years. Probably the biggest factor is paying it off as quickly as possible, to get financing under control. Otherwise, regular maintenance, as little as it is, will keep repair costs low and ensure you have your RAV4 EV for years to come. *NOTE: I purposefully left out battery replacement because of Toyota’s 8-year/100,000-mile battery warranty. Chances are, if there is a defect, it will surface before this point. 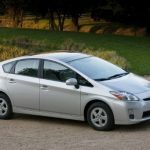 Otherwise, Toyota’s nickel-metal hydride [NiMH] battery technology is fairly bullet-proof, having been tested in Toyota’s hybrid lineup since 1997. Author B. Jerew is a powerful new voice in the green automotive movement. Having cut his teeth as a master mechanic, he now contributes thoughtful, thought-provoking pieces to many of the automotive world’s leading blogs. His work has recently been featured on My Car Lender, and he’s provided this piece in association with Georgia Auto Finance, the Peach State’s leading provider of financing services for new and used car buyers. Should Hybrid and Electric Car Buyers Worry About Battery Pack Replacement Costs? Copyright ©2007-2019 AccurateAutoAdvice.com. All Rights Reserved. While we do our very best to offer 100% accurate advice, the information offered here is not guaranteed. We can not be held liable for errors or omissions. We are also not offering any legal advice or counsel. If you act on our advice, you must understand you are proceeding at your own risk.